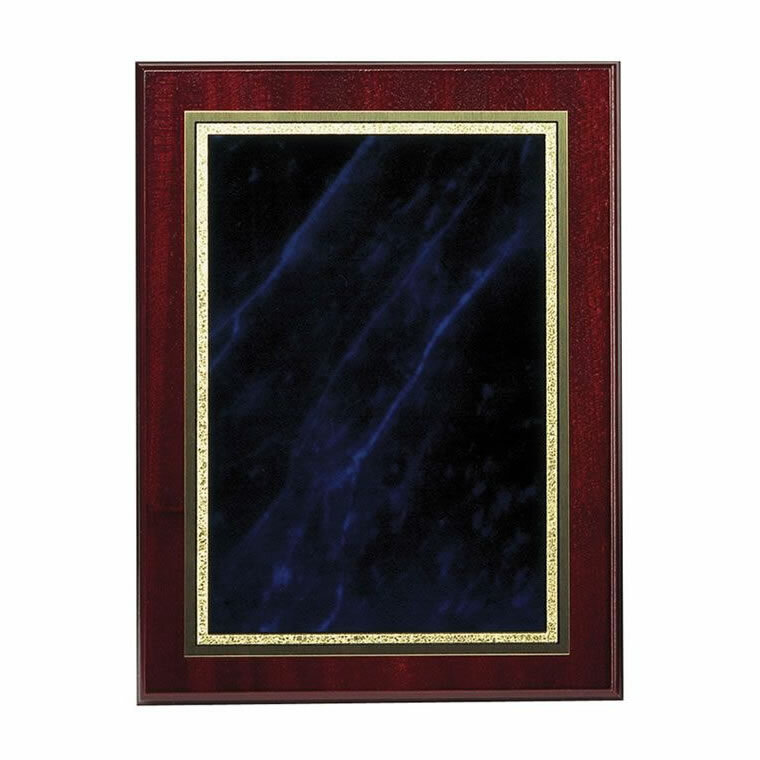 A traditional awards plaque in mahogany finish and featuring a blue marble mist front with gold effect border. Suitable both for wall hanging or free-standing (supplied with integral wooden strut), these plaques are ideal for engraving as an awards plaque for achievement and recognition awards, corporate awards, sports awards or any other occasion that deserves recognition with a quality personalized plaque. Size: 10in x 8in. 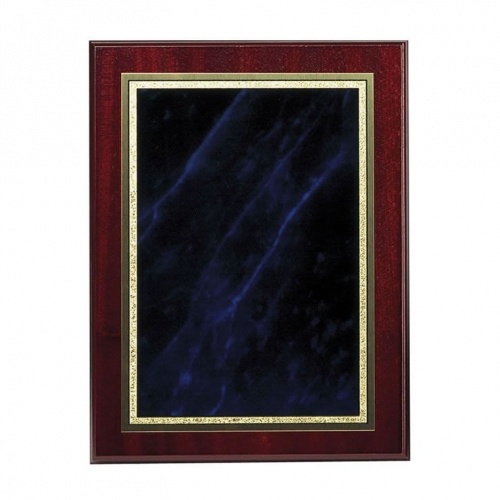 Mahogany finish frame with blue marble mist front. 12in x 9in. 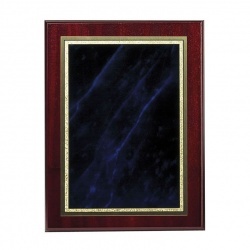 Mahogany finish frame with blue marble mist front. 7in x 5in. Mahogany finish frame with blue marble mist front. 9in x 7in.